ABS-CBN Lingkod Kapamilya Foundation’s Bantay Kalikasan celebrated the 10th Anniversary of one of its newest partners, ASEAN Center for Biodiversity. The gathering was joined by different secretaries from Department of Foreign Affairs and Environment and Natural Resources, officials of ASEAN Center for Biodiversity, members of partner organizations, academe, and business sector. R-L: Noemi Samson (ALKFI Chief Finance Officer), Norie Garcia (ALKFI Bantay Kalikasan Program Director), and Atty. Roberto Oliva (ACB Executive Director) together with the guests from different embassies who attended the 10th Anniversary of ASEAN Center for Biodiversity. With the theme “A Decade of Cooperation for Biodiversity Conservation”, the event became an avenue to launch the fundraising campaign for the ASEAN Biodiversity Fund. 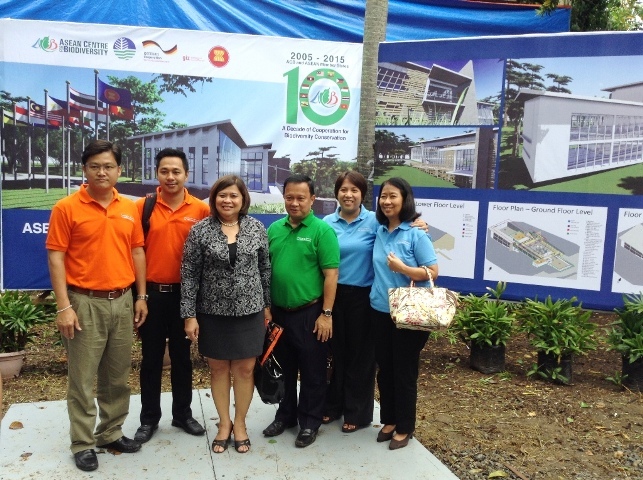 The event was highlighted with the groundbreaking ceremony of ASEAN Center for Biodiversity’s headquarters building in UP Los Baños which was attended by dignitaries of ASEAN embassies and the Ambassador of the German embassy. They also had a tree planting activity at the Tree World, Mt. Makiling ASEAN Heritage Park and the awarding ceremony for the 3rd ASEAN Zooming in Biodiversity Photo Contest. Bantay Kalikasan and ASEAN Center for Biodiversity recently signed a partnership that aims to strengthen and widen the consciousness of the public on how to preserve the biodiversity where in they take an immense role. Their future activities include holding a training on environmental report writing where in the media can participate to establish a better coverage on environmental issues.